Each year, one security professional or an organization is recognized for professional excellence or outstanding service in the security profession by the International Foundation for Protection Officers. The selected individual or organization is the recipient of the Annual Bill Zalud Memorial Award for Professional Excellence. For over three decades, Bill covered and shaped the security industry. His knowledge of the industry, his readers, the advertisers of the publications and their services have brought great value to his contributions. Bill strived to serve the industry with Professional Excellence. Click Here to read the latest News Release. Plans are already underway for the 3rd Bill Zalud Memorial Award for Professional Excellence. Nomination applications will be available on the IFPO website by March 1, 2019. Deadline will be October 31, 2019. “We are very proud to have had Bill serve on the IFPO Board of Directors for more than a decade," Davies said. "His long and outstanding service to our organization made a significant difference. Bill had given strategic direction and vision to the foundation. As an industry insider, his leadership was instrumental in making the foundation the success it is today." Each year, one security professional or an organization is recognized for professional excellence and/or outstanding service/acts in the security profession by the International Foundation for Protection Officers. "The nominations submitted were all outstanding supporters of professional excellence," Sandi Davies, executive director of the IFPO said. Grant Lecky is the co-founder of the Security Partners' Forum, the first-of-its-kind agile network of the global security community, with the purpose of building security and resilience capacity globally. Initiated in 2011, the SPF facilitates and enables enhanced communication and collaborative opportunities among its networked associations, across state jurisdictions, all levels of government, bridges the public sector and private sector and crosses the multitude of security and resilience domains and disciplines. Lecky is also the business continuity and strategic planning officer at the Department of Immigration, Refugees and Citizenship in Canada. In this role, Grant oversees the business continuity and crisis management programs and the strategic departmental security plan. Grant is also part of the World Economic Forum’s Expert Network in Risk and Resilience. Lecky’s contribution to the global security community has resulted in numerous awards, honors and accolades including the Leader of the Decade Award by the Women Economic Forum and inclusion into the Canadian Who’s Who. Lecky also currently sits on the editorial boards for both the Journal of Business Continuity & Emergency Planning, and the Cybersecurity Journal (Henry Stuart publications) and has professional certifications in security management, business continuity, crisis management, risk management, organizational resilience and critical infrastructure protection. November Special: Get the IFPO Textbook Package with $30+ in savings! Lecky has an extensive educational background which includes a master of science degree in Security and Risk Management from the University of Leicester UK, a diploma in Security Management from Algonquin College, and a series of executive level certificates from the Burrill Green Corporate Security Business School, and the International Security Management Association. In 2011, the IFPO factored heavily into Lecky’s master’s thesis on organizations that were vital to the further professionalization of security across Canada and worldwide. Since then, the IFPO has continued to evolve in its contributions to global security and in many cases, worked alongside the Security Partners’ Forum. Gary H. Kuty, president & CEO of Kuty & Associates, LLC, is a 40-year-veteran of the law enforcement and private security. Gary is a graduate of Youngstown State University, in Youngstown, Ohio, with a bachelor of science degree in Law Enforcement Administration. Kuty’s past is a well-balanced mix of public and private law enforcement and security. After a 12-year career in public law enforcement in northeastern Ohio, Kuty spent the next 20 years in the private security industry, holding a variety of positions across the country, including owning a security company in Columbus, Ohio. In 2002, Kuty fulfilled his lifelong dream and formed Kuty and Associates, LLC, a professional security consulting agency based in Dayton, Ohio. Kuty has provided high level management, marketing and sales expertise to the industry over the years. Highly regarded by his peers on a national basis, he is past president and chairman of both the Ohio Association of Security and Investigation Services and the National Council of Investigation and Security Services. After 20 years as council chair, vice chair and member, Kuty now serves on the prestigious Security Services Council and ASIS International as a lifetime member. Currently winding down his career as a consultant, Kuty is an mentor to young security professionals and believes in giving back to the profession which has been so rewarding to him. Kuty has had numerous security and sales-related articles published in several trade association journals and has lectured on a variety of topics to several professional security organizations. Kuty and his wife Liz reside in Dayton, Ohio and spend time enjoying their second home in Cape Coral, Florida. Their daughter, Annie, resides in New York City and their son Gary Jr. and his wife Katy live in Columbus, Ohio. Davies said she has worked closely with Kuty in various volunteer leadership capacities over the years and always found him to be extremely driven and willing to help others succeed. Please visit our Previous Recipients page. ABOUT BILL ZALUD: Zalud served in the U.S. Army for many years. In 1987, Zalud became the editor of SECURITY MAGAZINE and SDM Magazine. He spent over three decades covering and shaping the security industry. His knowledge of the industry, his readers, the advertisers of the publications and their products and services brought great value to his contributions. 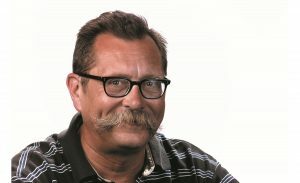 In 2009, Zalud became the editor emeritus working with Editor Diane Ritchey. He continued to do research, writing insightful articles, columns and blogs. He wrote the Zalud Report, a popular column about technology and industry trends, up until a few years ago. The archives of his column are available online at securitymagazine.com.